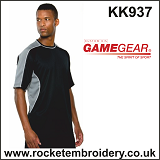 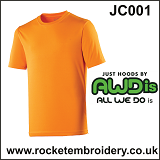 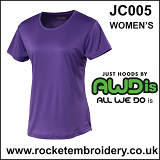 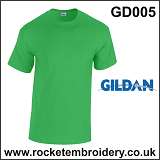 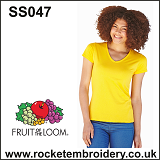 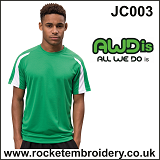 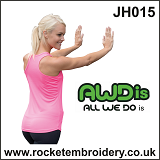 Rocket Embroidery specialise in supplying top quality embroidered and printed T Shirts for, sports clubs, schools, dance schools, university, College, Teams, Hen and Stag party t-shirts , work uniform and Martial Arts Hoodies. 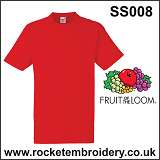 We can embroider or print individual names, Embroider logos in any colour of your choice. 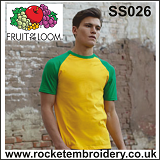 Check out our clothing catalogue for more Printed T Shirts or call at our shop next to St Helens Hospital to view our sample range of T Shirts. 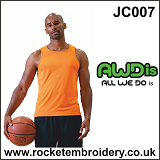 Call 01744 601 402 or email us for a quick quote on clothing , printing and embroidery.